Hello! 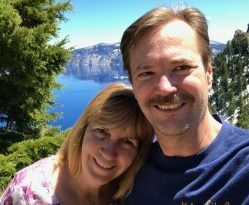 We are the Moser’s who live in the San Francisco Bay Area and love to visit the many State Park beaches along the coast of California and Oregon. We are blessed to live in such a beautiful place, and we invite you to join us by reading about our RV Trips. As you can see, we have a small vacation home with a really big yard! Our current motorhome, a 2017 Winnebago Adventurer 35P. I would like to inform you that your blog has been placed on HitchUpandGo (www.hitchupandgo.com) as our “Featured Blog”. Your site holds special value to us at HitchUpandGo and I wanted to thank you for the fine work that you have done with it. I would also like to personally welcome you to join our newsletter, the HitchUpandGo exPress if you have not already done so. The place where RV’ers go to start their trip. Hello fellow RV travelers from Florida. We live aboard and stay in the Florida keys for the winter and travel for 6 months during the summer. All that, more or less. We eill be back out in California next summer, visiting my son in Eureka. I enjoyed your posts. See you back in the Golden State next year! Hello there- i saw your Blog on a iRV2 forum and wanted to ask you some questions about your RV. We are moving up from our travel trailer and looking at a 2016 Vista Rally 26HE. Would love any input you have! Karen, I’d love to talk to you about 26He! please message me on iRV2.com anytime. I’ll share the good, the bad, and the ugly, but overall it’s been a great coach for us! We looked today at a 2013 Vista. Now trying to read up on them. Saw several posts about wheelbase and other scary warnings of handling in wind with semi’s. Looks like you still have your unit from what I can tell. So you are still alive and either have Popeye forearms or only drive on deserted roads on calm days! Can we get some advice/recomendations before we take the plunge? Yes, some of the posts sound scary, but I have to tell you my experience has been really good. Living near the coast I have been in pretty windy conditions with no issue, and trucks passing me is not a problem. Ford made some improvements to the 2012 chassis which probably account for the difference. This is my first RV, so it could also be that I just don’t have any other reference point. However, I didn’t expect Ito ride like my car! 🙂 The ride of the F53 chassis is rough because it has leaf springs. Some people add different shocks or sumo springs or other hardware to compensate. I have not felt the need to do so. There is also something called the Cheap Handling Fix that stiffens the ride in the back, but I haven’t done that either. Overall, I am satisfied with the ride just the way it came from the factory. Oh, one thing to look at is tire pressure. Once, a dealer increased mine to 100psi, from the recommended 82psi and the ride was terrible until I figured out what they had done. I keep mine at 87psi and it rides great. Best of luck to you on your research and purchase, and many happy miles to you! Thanks for your timely response. I appreciate the advice from a satisfied owner. There are soooo many options and opinions to sort and sift in the process as a first time buyer that it does get overwhelming. If only it was as simple as “A, B, C” ! Yes, it can be over-whelming. In our case, we knew we wanted a Winnebago, Newmar, or Tiffin because we wanted quality. We also knew wanted a class A, but on the shorter side because we are weekend warriors and like to visit state beaches over a 3-day weekend. Anyway, that’s how we narrowed our choices down to fit our needs. I’m sure you will find just what you are looking for! Take care!